Wow, Melissa! Look at all of those soups! Three in one post. My favorite soup is often the one I’m eating at the moment. I love French onion soup and butternut squash soup made with roasted squash and stock made from the squash gunk, thyme and fresh ginger (You will find that on “The Kale Chronicles” masquerading as “The Soup That Must Not Be Named”) I’d love to win a copy of your book. Be sure to tell us when the sequel is published. I love the idea of the squash with the ginger! I really enjoy split pea soup with ham. The recipe is usually on the bag of dried split peas. I also enjoy potato soup with cheese. I boil my cubed potatoes in broth with some onion, and when soft, remove some with a slotted spoon onto a plate and mash it with a fork and then return it to the pot. I shred some sharp cheddar cheese into it and add some dairy to make it creamy, and it is delicious. 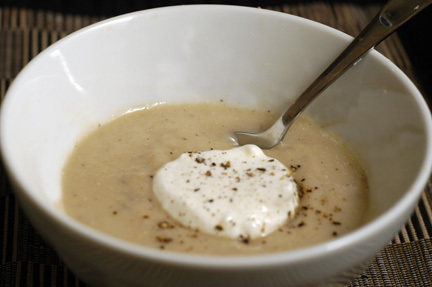 Soups really are wonderful on a cold day and they are also a great source of nutrition. I would like to try some of your soup recipes; they look delicious. I’ll take a bowl of that potato soup with cheese! Mmmm. I’never had potato soup but that sounds amazingly comforting. Kind of like a cheesy baked potato in soup form. I’m sure my family would love it too. 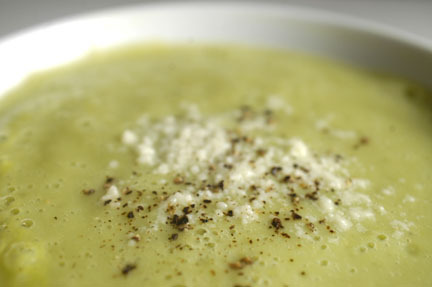 All of these soups do look tasty, but if I had to choose it would be the cauliflower and zucchini-yum! I have an extensive cookbook collection, so I will have to pass on your wonderful giveaway. However, I am sure that the winner will really get a lot of good use out of your book! Never knew you had been published, so congrats on that! I’m such a soup lover. My favorites are ham & lentil, broccoli & cheese, split pea, and barley beef. We eat soup almost every week in the fall and winter. Thanks for some great recipes! Do you make all of those? Do share! what a warm and wonderful yum bunch of recipes! might have to get that machine…. Awesome way to start things off! Those soups all sound SO good and perfect for winter. I’m getting inspired! @Choc Chip Uru — Thanks for your note — I opened up the giveaway to “the world” – it doesn’t make much sense to limit it, and I’m glad you commented. Now you will be eligible as well as others! I just made Wisconsin Cauliflower Soup for the first time and I think it may be my new favorite. Delicious! Does the Wisconsin refer to cheese maybe? I hope you try some! Although it’s February – – – Happy New Year! 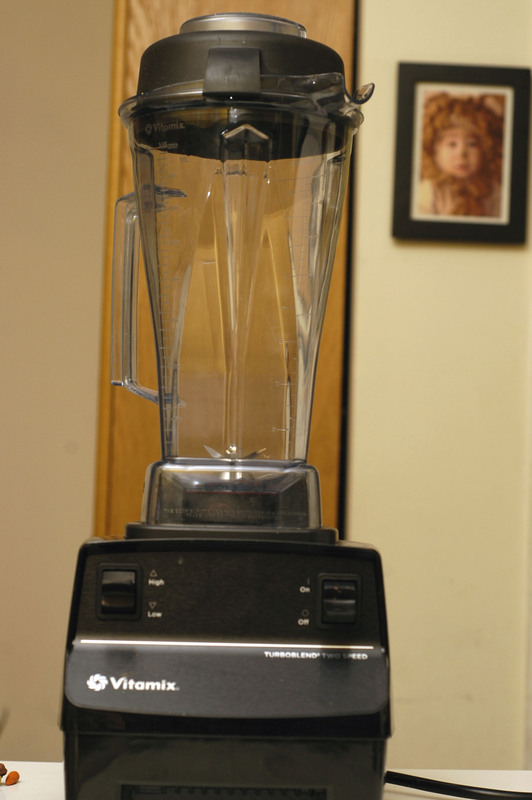 🙂 The Vitamix sounds AMAZING! I need one of those!!! I make a lot of soups but always the same ones. 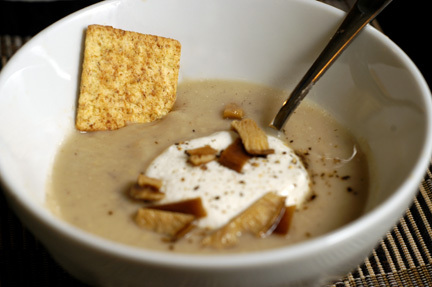 🙂 I’m gearing up to publish my favorite soups but by far it’s gotta be tortilla soup. I absolutely must try your broccoli zucchini and the shiitake/white bean!!! I have a 1/2 head of cauliflower in the fridge and now I know what I’m going to do with it! Thanks for sharing! All three soups sound so delicious and healthy. I’m really going for the white bean and shiitaki it looks fabulous, I love beans. All of the soups look delicious though. My favorite is your Snowy Day Soup. 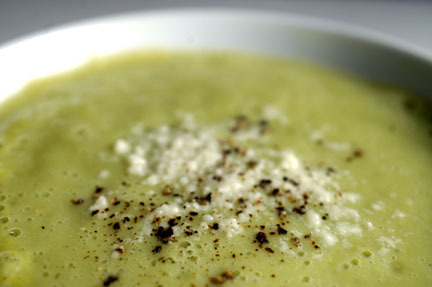 My 2 year old and I have enjoyed cooking together and adore Soup Day. We first found your book in the library and she insisted I read it to her every night. She loves it so much I made sure to purchase a copy before I brought it back to the library so she wouldn’t be without it. We enjoy your book and the yummy recipe. I make a sausage, white bean, kale soup which is a hit around here. So warm and filling on a winter night! Aw, thanks for letting me know about the parsley! congrats! i just posted about it on my Facebook! I tweeted and shared to FB; I love soup and children’s books. I would love to win so I could have an autographed copy but will need to purchase a copy for my school library! We have a lot of little would-be chefs at the elementary level! Thanks for hosting a giveaway. Nooo, I’ve missed Soup Month! D: Big bummer. Lovely trinity of soups you have there. Makes me want to have some right now. Whoopsy. “Nothing can stop me from eating pumpkin spoup in autumn and winter” was what I wanted to write. Sorry for the gibberish. Sounds delicious. 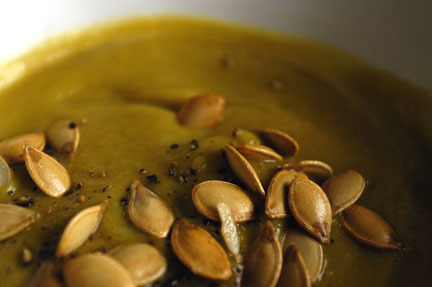 Do you have a good pumpkin soup recipe you could recommend? I’m counting you for three chances -thanks for the tweets, etc.! I don’t have any recipe I use. I do like the tomato soup at Paradise Bakery and the Cheesy Broccoli soup mix by Augason Farms. Good luck! Thanks, Aleen — where is the Paradise Bakery? In California? My husband makes an awesome: Curried Coconut Squash Soup: roast 1 acorn squash in oven until lightly browned. 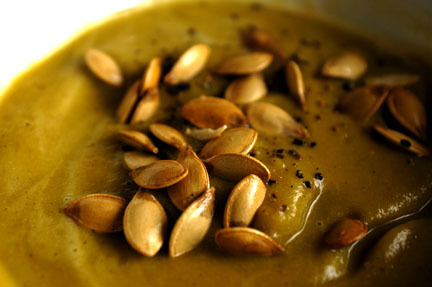 Puree squash with a well-browned (carmelized) onion. Add 1/2 can of coconut milk, add about 1 cup of water (or milk), add your favorite curry powder, salt and black pepper to taste. Let simmer to your desired thickness. Yum!